One bidder has shown interest in the Ukrainian Bank for Reconstruction and Development. 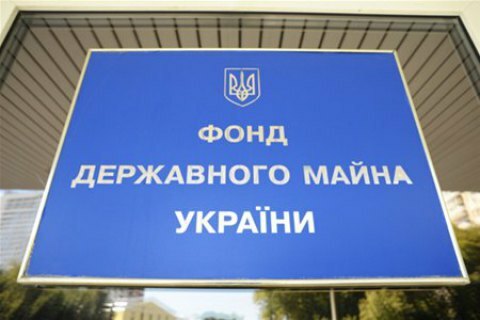 The state-owned stake of 99.9945% shares in the Ukrainian Bank for Reconstruction and Development has been sold at the starting price of 82.827m hryvnya, the auctioneer in the State Property Fund said on 30 November. Only one bidder, the biggest spot commodity exchange of China Bohai Commodity Exchange has shown interest in the deal. UBRR it was sold at the starting price, the SPF says. "The new owner was a Chinese company Bohai Commodity Exchange Co., Ltd. (BOCE), the biggest spot commodity exchange in China with an annual turnover of 1 trillion US dollars The company was founded in 2009 with the participation of private Chinese citizens, several state-owned companies and Tianjin Municipality, China," the report says. The head of the SPF Ihor Bilous wished that the bank became a bridge that will connect the business circles of Ukraine and China and attract Chinese companies to the new round of privatization in Ukraine. The previous attempt to auction off the UBRR in April 2016 was cancelled due to lack of bids. After that, the NBU announced plans to liquidate the bank if it cannot be re-privatized in an auction. "The State Property Fund has made every effort to privatize the asset and avoid elimination of the bank, but the state received funds in the budget," the Fund said. The key requirement for the investor is to replenish the bank's capital by 2.5m to 120m hryvnya to meet the norms of the NBU. The SPF expects that the NBU will issue as soon as possible the necessary permission for the entry of Chinese investors in the bank's capital. The UBRR was founded in 2004 to help development of both corporate and small and medium businesses through medium and long-term lending. Its first owner was the State Innovation Finance and Credit Organization, and then - the State Investment Company. In 2013, the bank was transferred to the Ministry of Finance, and Mykola Azarov's government was expected to create a Development Bank. As of early October 2016, the UBRR ranked 100th among 100 Ukrainian banks in terms of the size of ssets of 118,721, 000 hryvnya.